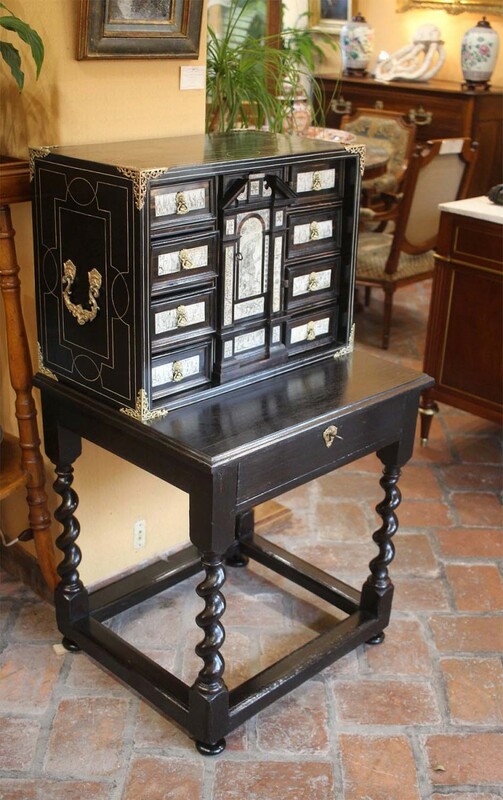 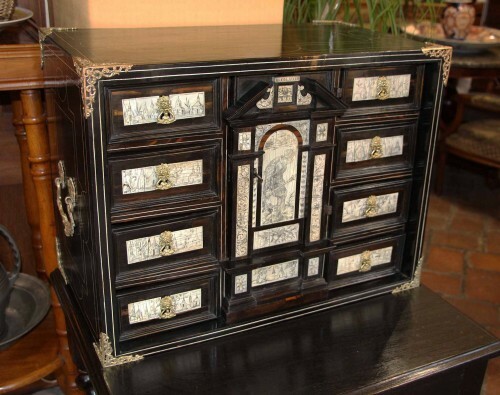 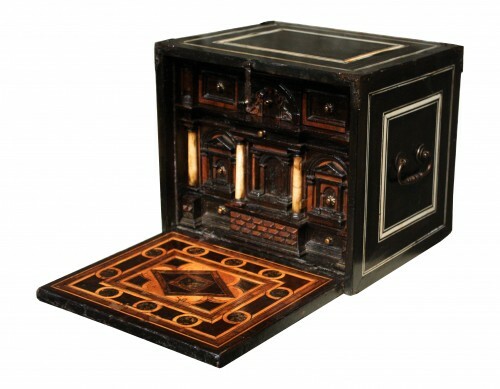 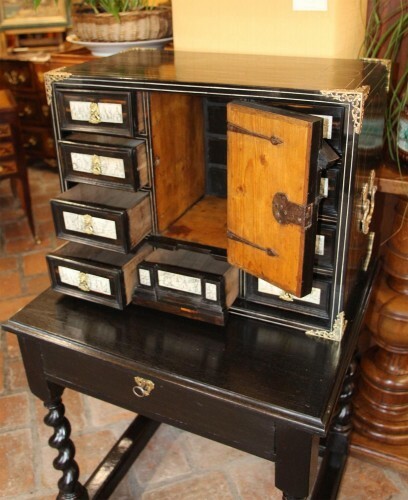 Cabinet in blackened wood, rosewood, ebony, walnut and ivory. It opens with nine three facades and a central component in architectural jump decorated with pediment and molded frames, discovering three drawers superimposed. 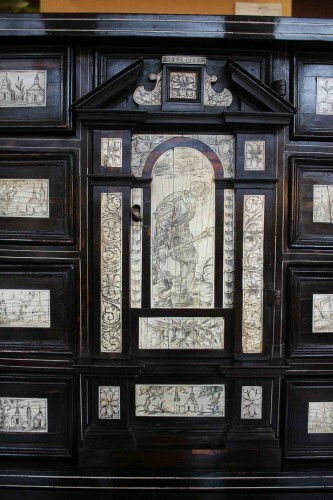 It presents on the top and the sides a geometric decoration of ivory nets encrusted and on the whole of the facade a rich decoration of plates of ivory engraved representing in the center a character "probably a pilgrim", foliage of fruits, foliage and landscapes composed of steeples, architecture and trees. 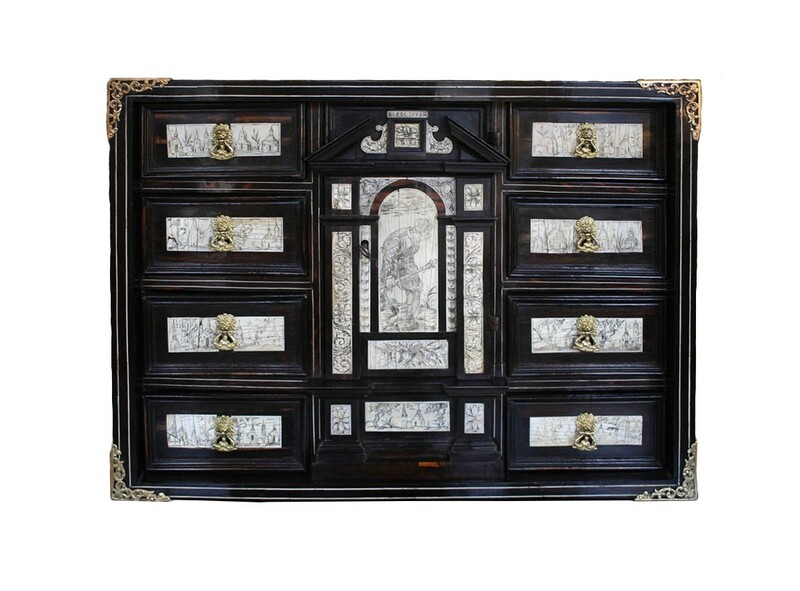 The drawer handles in the shape of a lion's head biting two dolphins, the openwork corners of the corners and the mobile side handles made of masks of grotesques and arabesques are in gilded bronze. 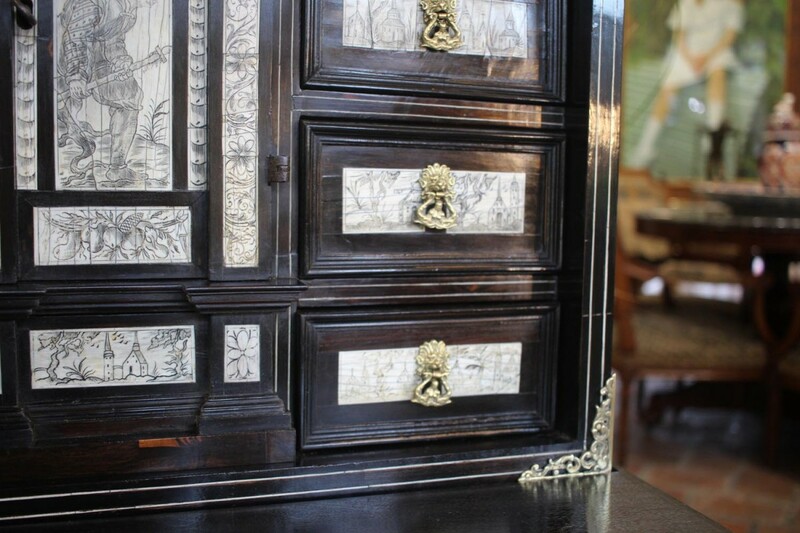 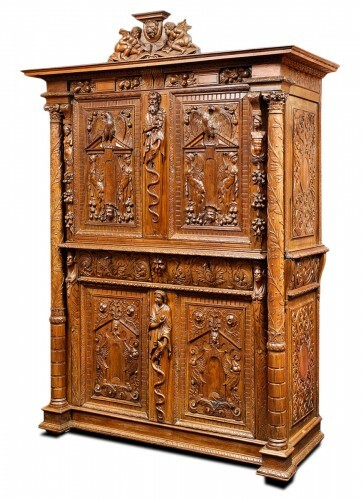 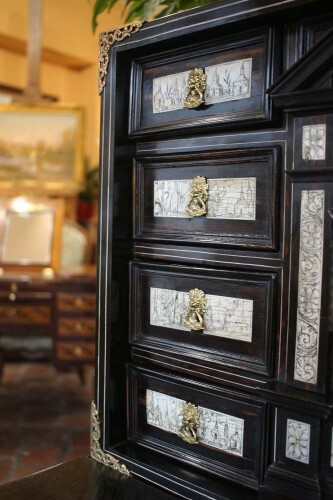 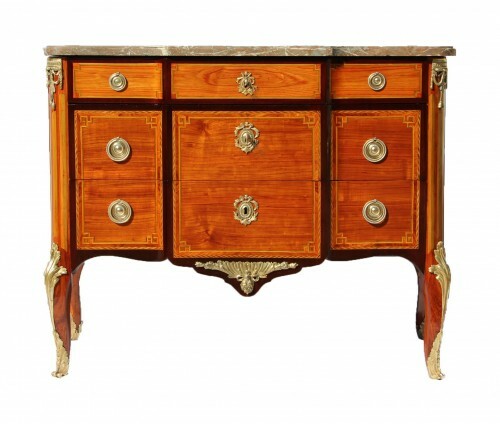 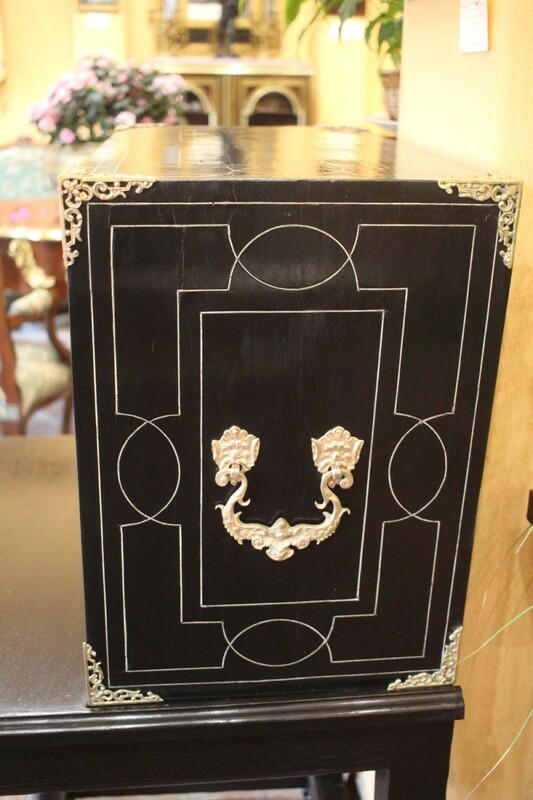 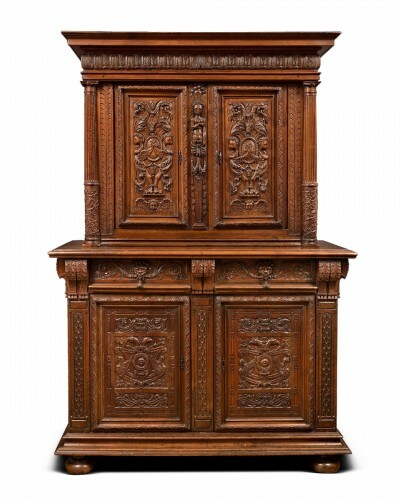 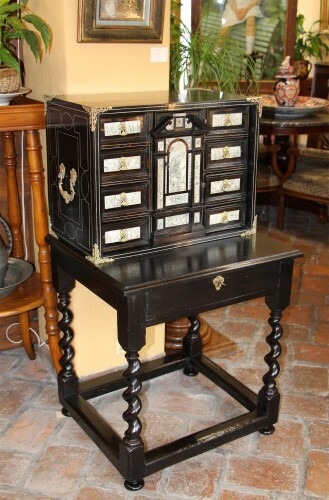 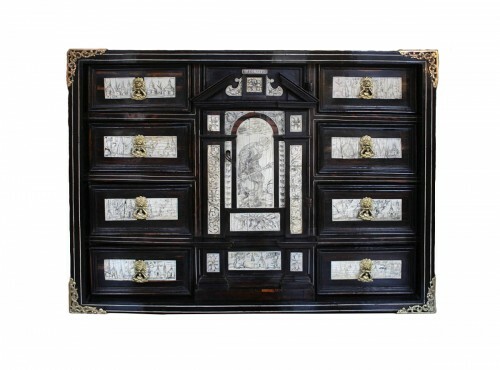 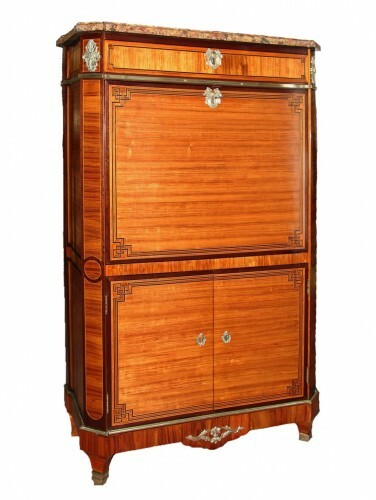 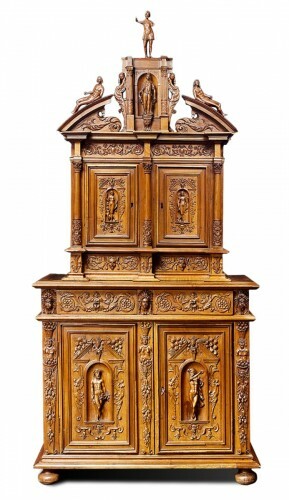 The base is composed of Louis XIII period elements, adapted to the dimensions of the cabinet. 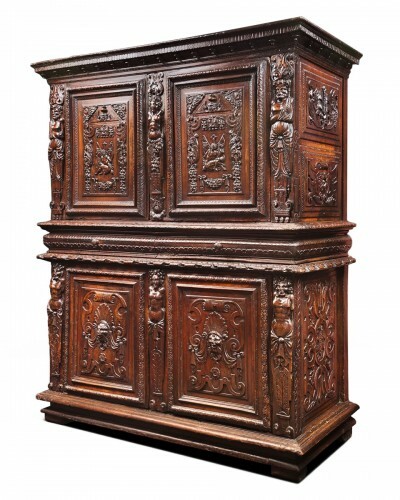 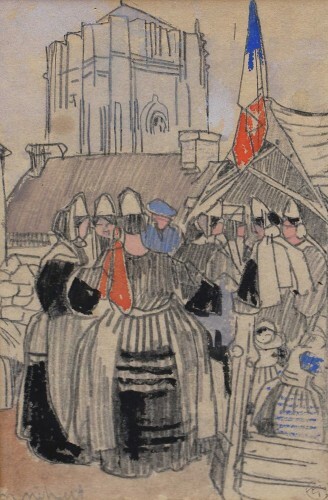 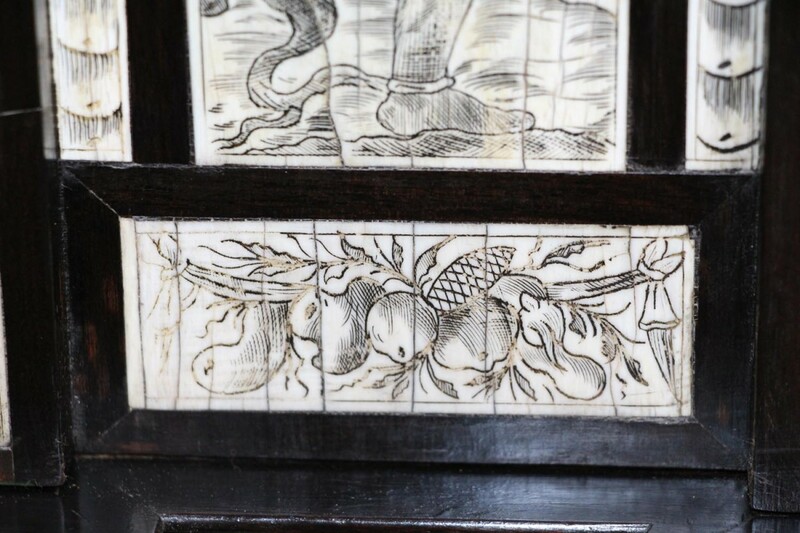 Work Lombard period XVII, (circa 1620) Very good original condition, Height: 45 cm, Width: 60.7 cm, Depth: 33 cm (set: 115 cm, width: 65.5 cm, Depth: 54 cm) It misses the four small feet removed to impress the cabinet on its support, the back key.